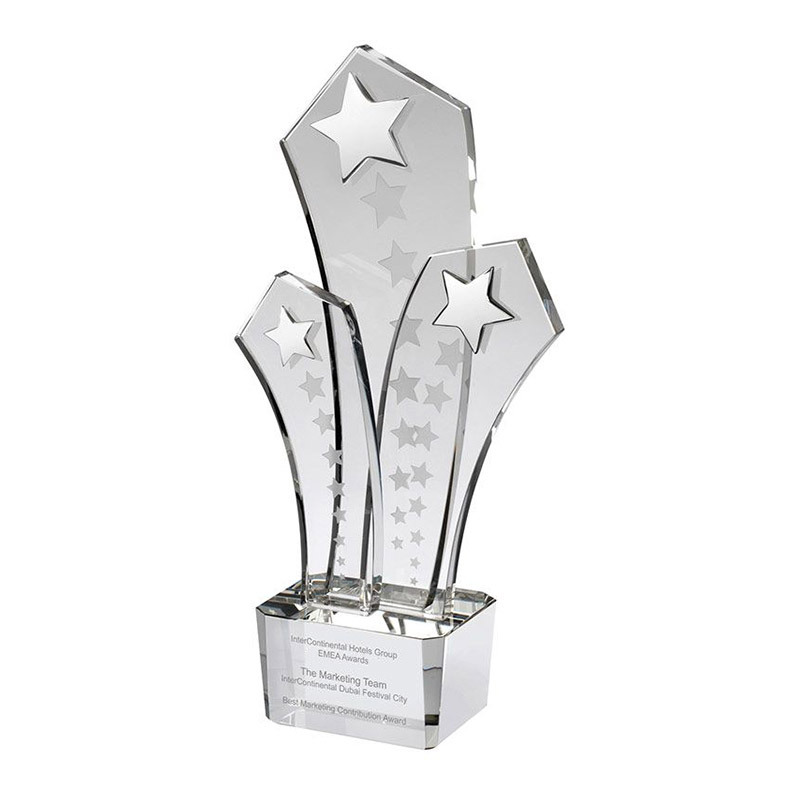 An outstanding glass star trophy fit to recognise and reward outstanding achievement. These quality trophies are finely crafted in clear optical crystal glass and feature three pointed arms mounted on a matching clear glass base. The arms are decorated with frosted glass stars and each has a silver finish metal star attached close to the peak. Standing an imposing 11in tall, these crystal shooting star awards can be engraved on the base and are offered with low cost engraving. 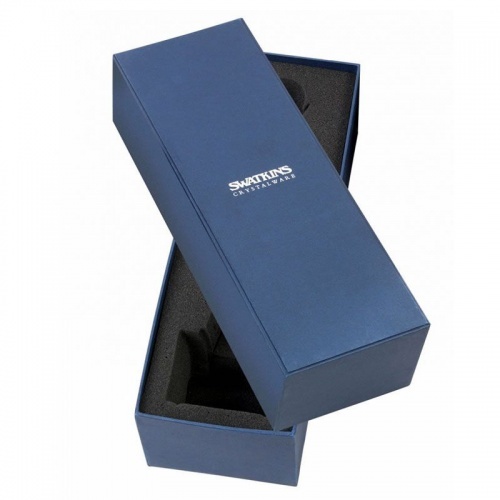 They are supplied in an attractive, foam-lined presentation box.